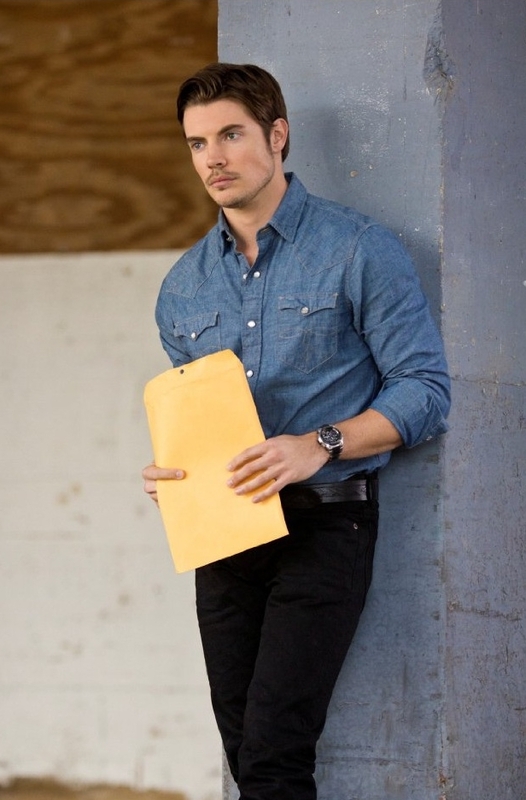 A heartbroken John Ross will turn on Christopher when Dallas returns next year! August 8 – Well, we finally found out who Rebecca’s related to and I’m glad to know that at least one of my theories was right. The Dallas writers fed us so many subtle hints that there was a whirlwind of theories, each sounding better than the last. But let’s start at the beginning of the season finale because it played out so beautifully and deserves to be recapped with revelations saved for the end. The worst day in Rebecca Sutter Ewing’s life opens with the aftermath of the gunshot that rang out during Rebecca and Tommy’s struggle for Becca’s gun and, sure enough, Tommy’s a goner, hittin’ the floor like a rascally rag doll. Becca does what any two-faced schemer would and calls her mysterious benefactor for help. Soon, two uniformed goons wrap up Tommy’s body CSI-style and take it away while she cleans up the blood stains on the floor. She pulls herself together enough to show up at the hospital to support Christopher as the Ewings maintain a vigil while doctors wait for a comatose Bobby to recover. Rebecca is pleased to see Chris wearing his wedding rings again but stammers when he asks her to put hers back on. Now where were those pesky rings again? Oh yeah, Tommy the dead guy has them! Chris notices Becca’s bruises and asks John Ross to get J.R.’s detective Bum to locate Tommy. Rebecca gets to Tommy’s motel room first and searches the place for the rings, finding incriminating photos of her relationship with Tommy instead and tearing them to shreds. Later, she finds out where the goons stashed his body and finds a pawn shop ticket for the rings. Of course she finds out from the store’s owner that the rings were sold but she convinces him to get them back by offering him double the price for which he sold them. At the hospital, Bobby awakens from his coma to find Ann and Christopher by his side. The Ewings rejoice in his recovery but a lot of loose ends need to be attended to by the three. Ann visits Harris to beg him to let Sue Ellen off the hook. When he suggests he’ll cooperate if she bargains with her body, a weepy Ann appears to be giving in until she unbuttons her blouse to reveal that she was wearing a wire and taped his confession about blackmailing Sue Ellen. When Harris grabs for the wire Ann socks him and threatens to shoot him with her shotgun if he ever touches her again. I like that gal more by the minute. John Ross rents out a raw space for Ewing Energies in the building that used to be the site of Ewing Oil and surprises Elena with his thoughtful move. He also springs an engagement ring on her and proposes to her on bended knee. She happily accepts. Who wouldn’t? Things get momentarily awkward when Christopher shows up at the site and learns of their engagement but he is touched by John Ross’ gesture and proposes a toast to mending fences and happiness for both couples. Now we all know that’s not gonna be the case by episode’s end, but work with me on this one, people. Christopher drops by Becca’s place and brings her some Chinese takeout. Now, who else on Dallas do I remember having a liking for Chinese takeout? Hmm. 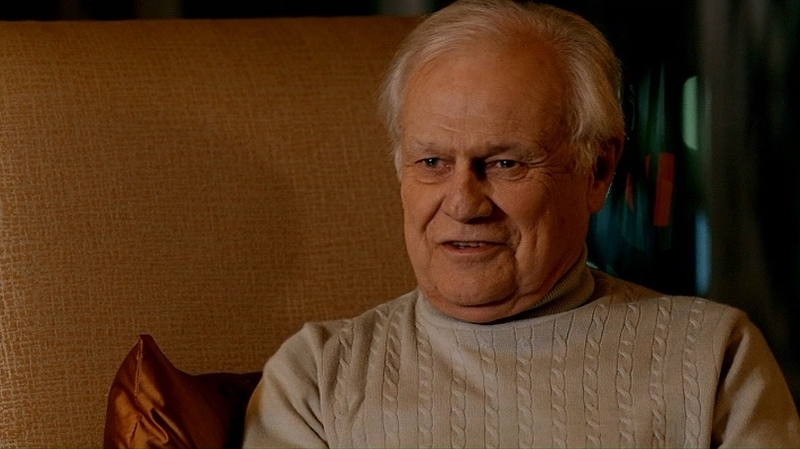 Old Cliff Barnes had a doozy of a scheme in play. Moving on, a recovered Bobby confronts J.R. with the evidence his lawyer unearthed in Marta’s video archive. That crazy gal taped practically every moment of her life, including the one where she and J.R.’s schemed to defraud Bobby. Will Bobby send his brother to the big house? He does one better and forces John Ross to admit his complicity in the Marta ruse, which Elena accidentally overhears. Disgusted by John Ross’ selfish lies and manipulations, she’s ready to toss his ring but John Ross begs her to give him one more chance to be a better man. He asks her to meet him at the Ewing Energies site as a sign of forgiveness. He’d better not hold his breath. A meeting between Vicente Cano and Cliff Barnes’ henchman to discuss Christopher’s methane process is interrupted by federal agents who haul Vicente off to jail, where he’s confronted by Bobby, J.R. and Christopher. The jig is up for the villainous Venezuelan. The feds have Marta’s tapes that prove the Southfork sale was fraudulent and that his goons killed poor Marta. Chris has his methane rights back and Bobby has spared J.R. from prosecution. But have we really seen the last of Vicente? Back to Becca. Bum takes Christopher to the motel where Tommy was staying only to find it cleaned out. A timely phone call from a woman claiming to be Tommy’s real sister Rebecca Sutter clues in Chris that his wife is faker than a $2 bill! An enraged Christopher demands to know who Rebecca really is and for once her sappy protestations don’t work on him. She makes him angrier by telling him he’s still in love with Elena and he vows to take the twins away from her when they’re born. Christopher’s next stop– you guessed it– is Elena’s, where he reminds her how their love blossomed after the death of her father and asks her to pick up where they left off. Before you know it, Carmen is returning John Ross’ engagement ring to him at Ewing Energies. As Sue Ellen delivers a stirring speech to her fervent supporters, the Ewings move forward into the next phases of their lives. The good guys, Ann and Bobby, look out on Southfork and enjoy their victory (for now, anyway), while the bad guys, J.R. and John Ross, determine to recoup to fight another day at Ewing Energies. A bitter John Ross offers his daddy a deal he happily can’t refuse. As Christopher and Elena give in to their renewed passion, Rebecca is called on the carpet by her disappointed father… old Cliff Barnes himself! He’s upset over how sloppily she executed his plot to get Christopher’s methane breakthrough one way or another. She better not let her emotions get in the way like they did with his sister Pam, he tells her. Rebecca informs him Christopher is out to take the twins from her and she won’t let that happen. The Barnes-Ewing feud has entered the 21st Century, folks, and Cliff couldn’t be happier! Can Afton Cooper be far behind? To be continued in January 2013… But check back Friday when Dallas Redone blog posts its critique of the new Dallas overall. I’ll share my thoughts on the good, the bad and the ugly. Maybe I’ll throw in a few predictions for season two just for fun. ← What will happen on the August 8 season finale of Dallas?